*Coaching lists are subject to change. Last updated on 8/18/18. Coach Roger Thomas is the PSC Director of Soccer Operations. 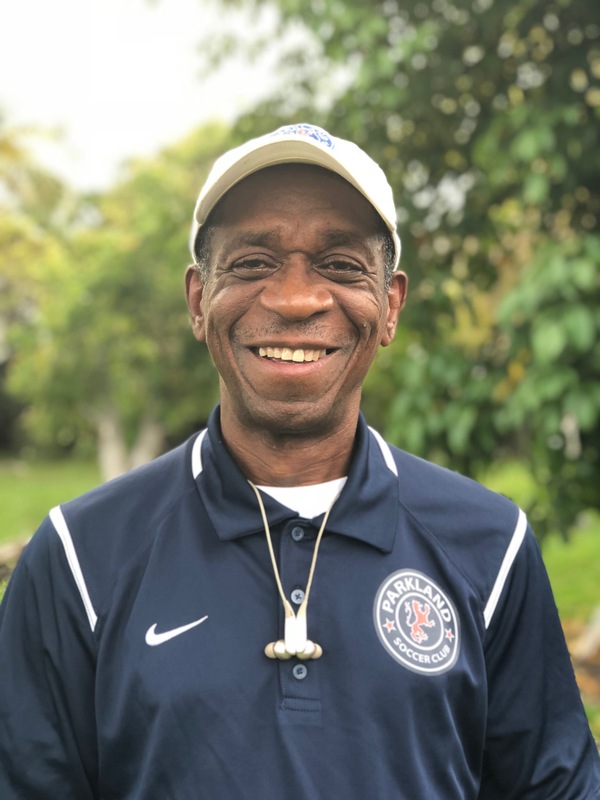 Coach Roger, a former midfielder for the Miami Fusion (MLS) and the Jamaican National Team, played collegiate soccer locally and earned his Bachelor's Degree at Florida International University (FIU) Miami. He still holds the record for 11th scoring leader in the school’s history. Roger holds the United States Soccer Federation USSF ‘A’ License, USSF ‘B’ License, NSCAA National and Advanced National License, audited the USSF National Goalkeeping License; National Soccer Coaches Association of America (NSCAA) Director of Coaching Diploma, KNVB Dutch National Federation and Certification; Special Topics "Tactical Thinking with Jose Mourinho"; and is a Florida Youth Soccer Association Licensed Coach. Coach Roger is also a NSCAA Member and serves as a FYSA Olympic Development Program staff. He has twelve years of coaching/ Director of Coaching experience with his supplemental training company, Soccer Academy & Training, and has developed many players that have gone onto college ranks. Coach Roger attended the World Football Academy Periodization course held in Chicago. During the 2017-2018 Season, Coach Roger lead his 2005 Boys Red team to Second Place in the Florida National Premier League and Florida Round of 16. Coach Laurie Thomas, Operations Director and Girls Coordinator, has been coaching girls soccer has developed many young talents over the last fourteen years. She holds a USSF 'A', USSF ‘B’ License, USSF ‘C’License; NSCAA National License, NSCAA Advanced Regional License; as well as the USSF National Youth ‘Y’ Diploma and FYSA licenses. Laurie completed her Master Coaching Course with FYSA and Soccer Vision Global Premier Educator Course. She is also American Red Cross certified in CPR and First Aide. She played Division I collegiate soccer at Florida International University (FIU) in Miami and majored in Biology and International Relations, with a Minor in Liberal Studies. At FIU she served for one year as the Graduate Assistant Women’s Coach. Coach Laurie coached the U10 Girls and U13 Girls (Region Cup Champions, Interstate Cup Champions, Palm Beach Soccer League Champions) in the 2015-2016 season. Both the 2016-2017 and 2017-2018 Seasons, Coach Laurie lead her 2003 Girls Team to the Round of 16. Coach Luis Valente holds his USSF 'C' License, USSF ‘D’ License; Member of the National Soccer Coaches Association of America (NSCAA) and is a Florida Youth Soccer Association Licensed Coach. Coach Luis has over 10 years of coaching coaching experience working with boys and girls from toddlers to teenagers. In the 2015-2016 season Coach Luis was the U10 Boys White team coach with Parkland Soccer Club. In his recent trip to Spain, he was able to attend training for the younger divisions of Deportivo La Coruña, a team in the Spanish Liga BBVA. Coach Luis played collegiate soccer in Venezuela where he earned his Bachelor's Degree in Accounting and he completed his MBA at the University of Tampa where he actively participated in the coordination and management of the School's soccer intramural programs. Coach Dumel Decius has been coaching youth soccer n Parkland for 3 years. He currently holds his USSF 'D' License. In the 2017-2018 season, he coached the U11 Boys Red team and the U13 Boys Red Team. The U13 Boys team made it to round 2 in State Cup this past season. Coach Tony Davidson hold his USSF 'D' License; NSCAA Goalkeeping Level I & II; USSF “E” License; Adult License from the US Soccer Federation, National Youth Soccer Diploma/License sponsored by the NSCAA; and attended the Coaches Clinic by Soccer Vision Global. Coach Tony will be coaching the PSC U12 Boys Red team. Club Coaching Experience Parkland Predators, U11 Boys (2014-2015), Coach Soccer Academy & Training, U12 Boys (2013-14), Coach West Pines Soccer Club, U16 Girls, (2013-14), Assistant Coach Coral Springs United, U12/U13/U14 Boys and U14 Girls (2012-13), Coach Coral Springs United, U12Girls (2011-12), Coach Coral Springs Storm, 3 yrs, U13, U14, U15 Girls (2008-2011), Coach Coral Springs Youth Soccer Recreation League, 2 yrs, U13 to U16 Girls (2004-2006) Personal Soccer Coach Tony played with the Canarsie Kickers FC, New York Belize League, and was a Semi-Pro Midfielder. He holds a Master's Degree of Business Administration, Finance from Nova University, Florida, and has a Bachelor’s of Science, Accounting, Degree from Long Island University, New York. During the 2017-2018 Season, Coach Tony lead his team to the Florida National Premier League taking First Place; and advancing to the Finals in Lancaster, Mass. Coach Frantz Edouard has coached youth soccer for ten years. Coach Frantz is a high school mathematics teacher at Deerfield Beach High School as well as the Boys High School Soccer coach. Coach Frantz holds his USSF 'D' License and was the PSC U16 Boys Red team and U15 Boys White coach in the 2016-2017 season. Coach Cristian Raudales currently holds his USSF 'D' License. Coach Cristian played collegiate soccer and graduated from Florida Gulf Coast University with Bachelor of Science in Sports Management. 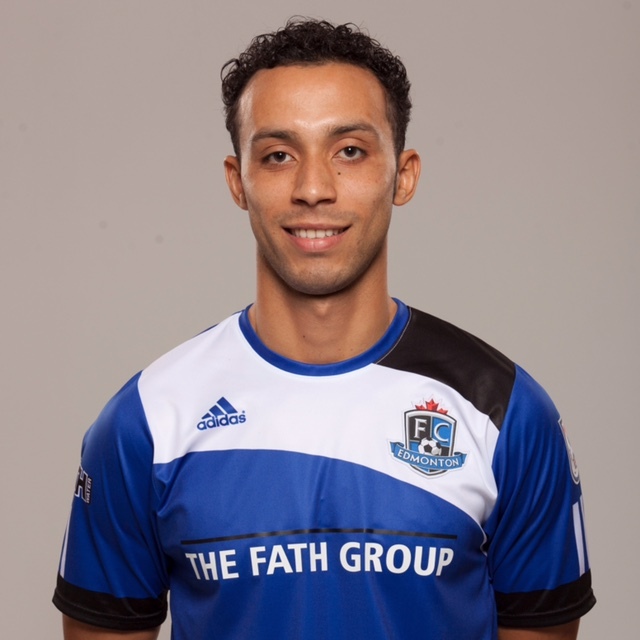 He went on to play professional soccer for FC Edmonton and BSV Rehden in Germany. This season he will be coaching the 2005 Boys White team and the 2008 Girls White team. Coach Greg Dagilar currently holds his USSF 'E' License. In the 2018-2019 season, Coach Greg coached the Parkland Soccer 2006 Boys Navy team. Coach Jon Nascimento holds his USSF 'E' License. In the 2017-2018 season Jon was the 2008 Boys Red team and 2007 Boys White Team coach with Parkland Soccer Club. Prior to joining PSC, he worked coaching youth U8-U18 boys and girls for five years at the Brazilian Twisters soccer club. Coach Jon is an excellent player and grew up playing soccer in South Florida. He attended Palm Beach State College in Boca Raton, FL. Coach Felipe Nascimento holds his USSF 'E' License. In the 2017-2018 season Felipe was the 2008 Boys White team coach with Parkland Soccer Club and has several years of experience coaching youth soccer. Coach Felipe is a great soccer player and brings his playing experience to the training. Coach Patrick Darby holds his USSF 'F' License and CPR and First Aid Certified. Coach Patrick, a resident of Parkland, grew up playing soccer in Parkland. Coach Patrick has 5 years of coaching experience through Soccer Academy and Training. He has also worked as a trainer for SABR (Soccer Association of Boca Raton), CSYS (Coral Springs Youth Soccer) and APT (Athlete Performance Training). Coach Patrick attended, graduated from and played for Florida Atlantic University where he played four years of college soccer. 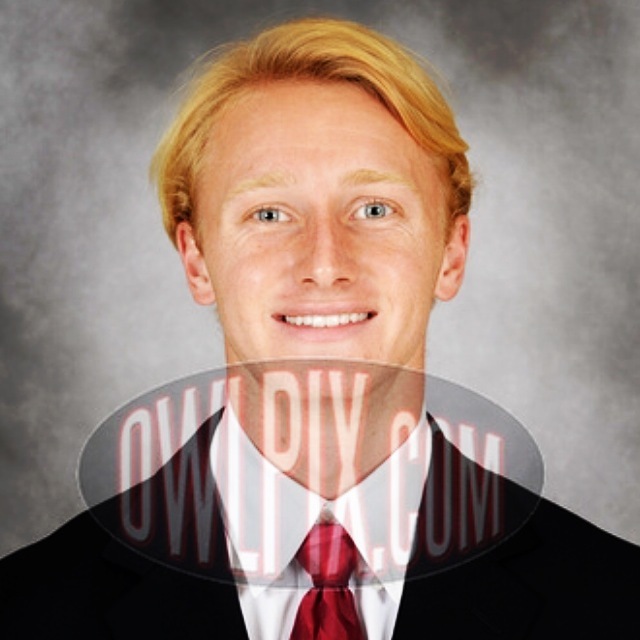 He was the captain of the team his senior season and his Major is International Business and Finance. In the 2017-2018 season, Coach Patrick was the 2007 Girls Red and 2009 Boys Red Team coach. Coach Anthony Corbett’s love and passion for soccer started at a very young age. After playing high school soccer and competing in the Jamaican Premier league for 3 years, he was selected to play on the Jamaican National Senior Team in 1984. He represented his country for 10 years with 110 caps and for 6 of those years, he captained the team. His most outstanding achievements were leading the team to its first Caribbean Championship in 1991 and to third place in the 1994 CONCACAF Gold CUP competition. In 1992, Corbett was nominated for the Jamaican Sportsman of the Year Award and he is still regarded as one of Jamaica’s finest defenders. Coach Corbett believes in youth development. Over the years, his commitment to youth development has led the teams he has coached to many successes. Corbett’s ability to communicate, motivate and work successfully with youths became apparent when he coached high school soccer teams in Jamaica between 1988 and 1990. He is a patience and caring youth coach who currently holds a U.S. Soccer “C” license and has been coaching youth soccer in the United States from 2000 to present. Coach Daniel is a skilled athletic professional experienced in team sports, team management, individual athletic development. He is educated in finance and he will be graduating from Florida State University in June 2018. Coach Daniel serves as a role model through extensive participation in coaching of competitive soccer and non-competitive activities. 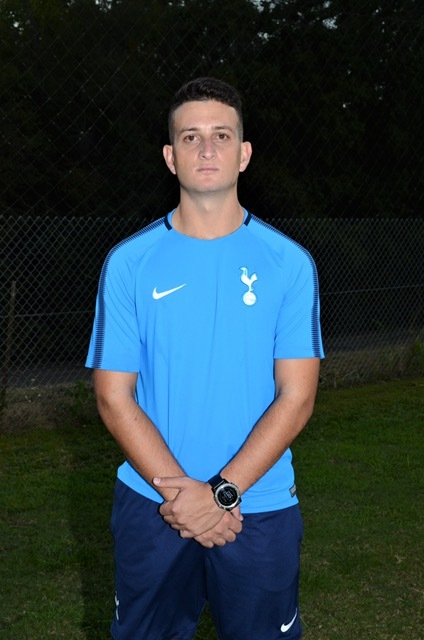 Coach Daniel holds a USSF ‘D’ coaching license and has coached at the Tallahassee Tottenham FC Club for the last four seasons. Coach Paulo was a collegiate soccer player at Florida Atlantic University (FAU) where he graduated with an Exercise Science Degree in 2017. He is a soccer and fitness coach enthusiastic and looks forward to joining the Parkland Soccer Club for the 2018-2019 season.